The weatherman had predicted dense fog with the possibility of light rains. 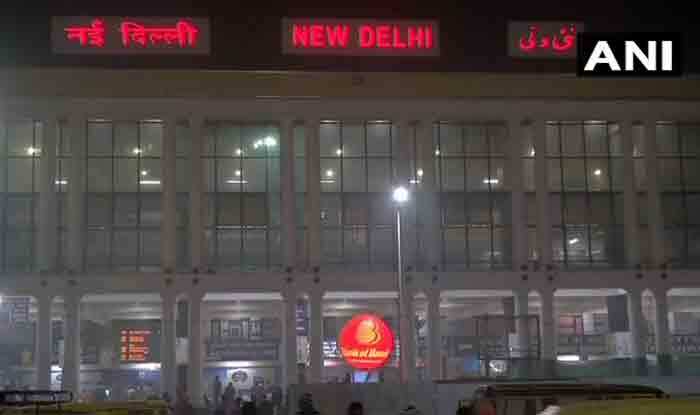 New Delhi: Eleven trains to Delhi are running late due to fog and low visibility, news agency ANI reported on Thursday. The weatherman had predicted dense fog with the possibility of light rains. However, the pollution levels remained under the ‘moderate’ category. According to the Air Quality Index (AQI), major pollutants PM 2.5 at 127 and PM 10 at 112, both in ‘Moderate’ category in Lodhi Road area. The air quality has improved significantly due to strong winds and rain. While it was in the ‘very poor’ category on Monday, it improved to ‘satisfactory’ on Wednesday. This is the best air quality Delhi has seen since October last year. On Wednesday, twenty-one northbound trains including Mahabodhi Express, Lichchvi Express, Brahmputra Mail, Rewa Express, Shiv Ganga Express, and Vikramshila Express were running late due to bad weather conditions. In 24 hours, the national capital had received 27.8 mm rains. The minimum temperature was 12.5 degrees Celsius on Tuesday. Relative humidity was 100 per cent this morning, he added. On Tuesday, 15 trains were delayed due to fog and low visibility. On Friday, flight operations were also affected at the Indira Gandhi International Airport.